This is the DC Horoscope of the November 23, 2018 Full Moon @00Gem52 conjunct weeping Alcyone (keywords, "something to cry about"). 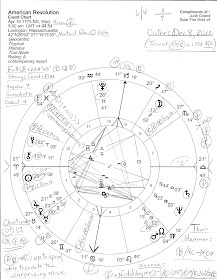 Perfecting at 12:39:06 am est in Washington DC during a Mercury Hour (changes), we find chart-ruler Mercury Rx suggesting delays, reviews, and re-assessments which possibly refers to the November 6th Midterm Elections and the contesting of results via election fraud lawsuits and/or re-counts. 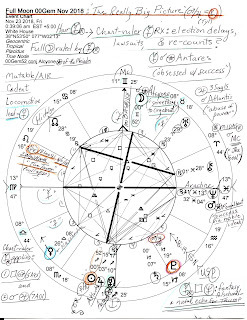 As you know, a Gemini Moon is ruled by Mercury and there's little voting Mercury Rx at IC but in the 3rd house of Communications conjunct royal Antares, keywords: obsessed with success, but Antares is also a star of war. 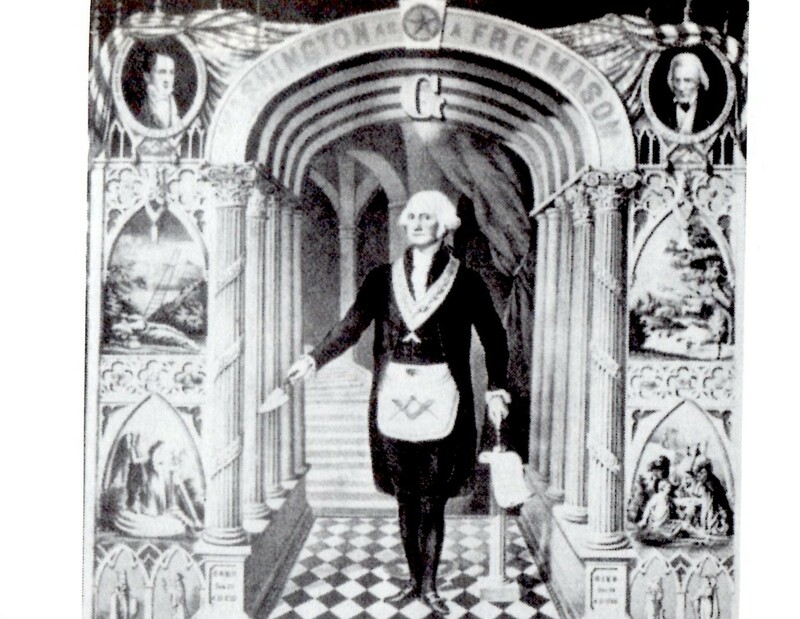 In fact, the first of two applying Ptolemaic aspect made by chart-ruler Mercury is a square to warrior Mars @4Pis32 which also conjoins a royal star, Fomalhaut, keywords: success through noble ideals. Where Americans will find those 'noble ideals' is unknown by yours truly unless the Democrats grab control of the House and its committee chairmanships so that Trump's bone-spurred tootsies are held to the legal fire. If Republicans keep control of the House, the criminality of Trump and the GOP will continue and worsen for it will inflate authoritarian Trump's fantasized "mandate." Mercury's second applying aspect is a conjunction with Jupiter which indicates a high volume of political information and ads, news about court decisions (once Mercury turns Direct on or about December 6th), international communications, and the expansion of very large plans. Also note that in the 12th house of Politics, Large Institutions (ex: Congress), Backroom Deals, Self-Undoing, and Karma is the current Solar Eclipse ('PE') which I have termed The Tower Eclipse due to its collapsing theme. No planets are posited therein but the wide conjunction of Mars and deceptive Neptune oppose from the 6th house of Military, Police, and Civil Service. Yet Partnerships, Open Enemies, and Legalities are also involved with Neptune @13Pis41 Rx setting at Descendant and its rounded-up degree of '14Pisces' = "A Lady in Fox Fur." Plus, 14Pis01 is the position of the natal Neptune of the Republican (now, Trump) Party who seem to follow Fox 'News' instructions at every turn. And in the 4th house of Real Estate, restrictive Saturn, strong in its own sign of Capricorn, may be alerting us to a downturn in housing sales, in speculation and other financial schemes (Capricorn on the 5th cusp of Risk-Taking and Gambling, as in Wall Street), or possibly the Lesson Bringer is hinting at trouble in the mining industry. Yet with Sagittarius on the 4th cusp, is karmic Saturn a marker for limiting legal decisions? Disturbingly, the transiting South Node of The Dragon now swipes its tail at US natal Pluto in Capricorn, a negative indicator in the 5th house suggesting large events out of personal control. That said, we see the 5th house Pluto @19Cap26 as apex planet of the Mars-Jupiter midpoint = "The Really Big Picture" (Noel Tyl) which echoes the recent midpoint picture that formed when transit Pluto hit the 1993 degree of Uranus-Neptune--'The big picture must be followed, very little option to do otherwise'..."18Cap" = POLITICAL POWER: 'smug or strong-armed paternalism' (Jones). In three words, authoritarian Donald Trump, dictator wannabe. Now there are too many planetary patterns to mention in this brief post (which resists becoming a book!) so I trust you, dear reader, to ferret them out if you care to. 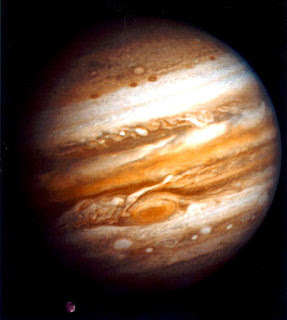 But a few more factors should be mentioned in closing such as the 2nd hou$e Venus @26Lib08, leader of a Locomotive shape identifying a 'ruthless, high-powered executive' and this brings monetary policy and evaluations (currency) into the cosmic picture--and with shocking, disruptive Uranus at a critical-crisis 29th degree and retrograde in the corporate 8th house. Plus, as you know, the Venus-Uranus pair tends toward extravagance, eccentricity (including with money), unfaithfulness, and separation in relationships. 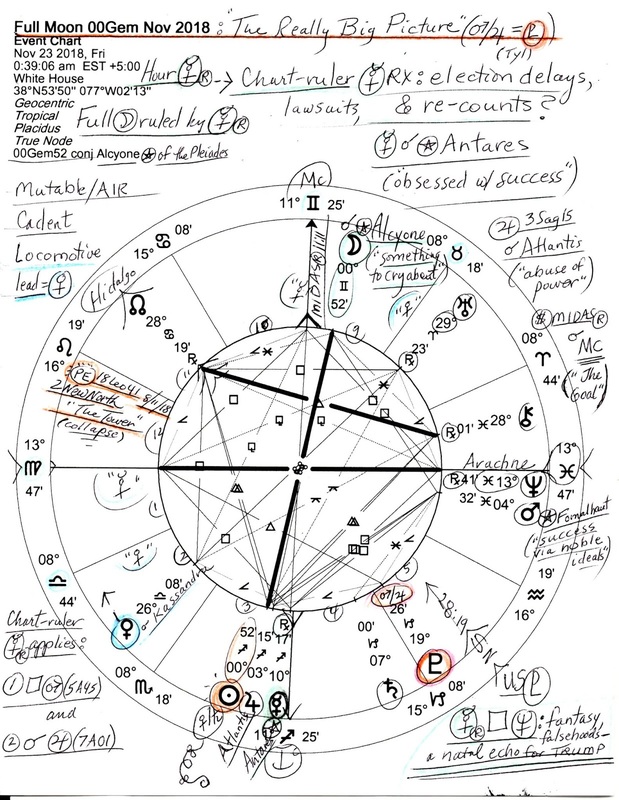 Perhaps this is a reference to the Trump marriage since the Sun-Moon (marriage/husband-wife) midpoint, which I neglected to pen into the 12th house @00Vir52, conjoins the natal Ascendant of Mr. Trump and conjoins royal Regulus, keywords: success if revenge is avoided. But as we know with Donald Trump, it never is.